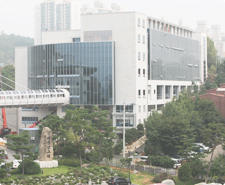 When the church started in Yeonheedong in Seoul in 1986, it faced many problems. Its location was hard to reach by public transport and was far from all surrounding amenities. Since it was in a basement, it was damp and mouldy. The mould smelled so bad that it hindered people from coming to the church and from breathing easily while they were inside, and every time it rained, water came in through the walls and floor and flooded the sanctuary. It was definitely not a suitable place for people to gather for church. 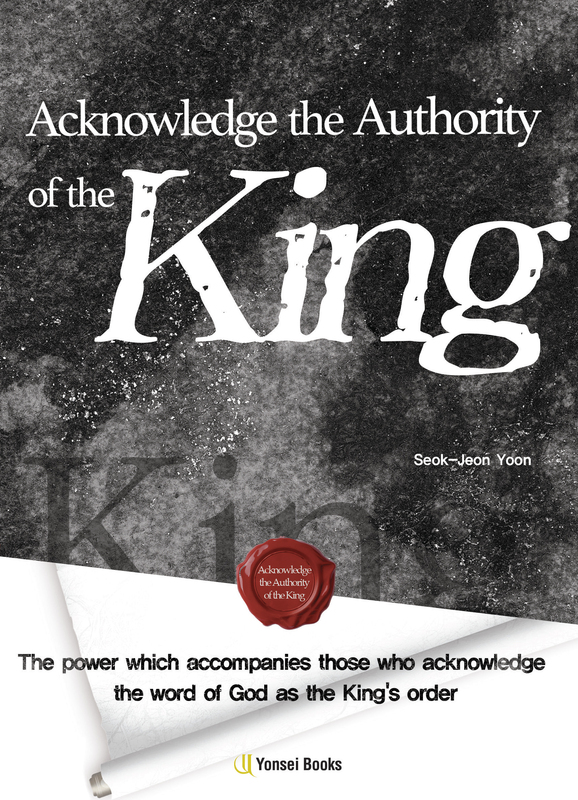 But Pastor Yoon believed that God would send people to the place with which He was pleased and where He wanted them. So he started holding revival meetings in the church on a monthly basis and the Lord Jesus was with the church. Although the church was in such a dismal environment, its members began to be filled with the Holy Spirit and faith. The church began to grow day after day, and as it thrived it quickly outgrew the space in the basement. The church members needed to find a new place, and they increasingly wanted to find a new building. 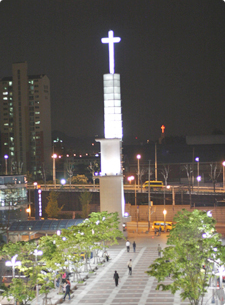 The congregation volunteered to give an offering for a new church building, and they purchased a plot of land, which covered 41,205 sq ft, for the development of a future church building in Sungsandong in Seoul. But it was later discovered that it was an area reserved for a park, water and sewage system, so they were not able to build there. 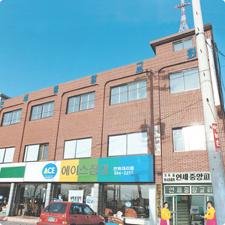 They leased an alternative space of 7,116 sq ft in Mangwondong, Seoul and moved there in 1990. But within a year, the congregation had again rapidly outgrown its buildings and they needed to move to larger premises again. 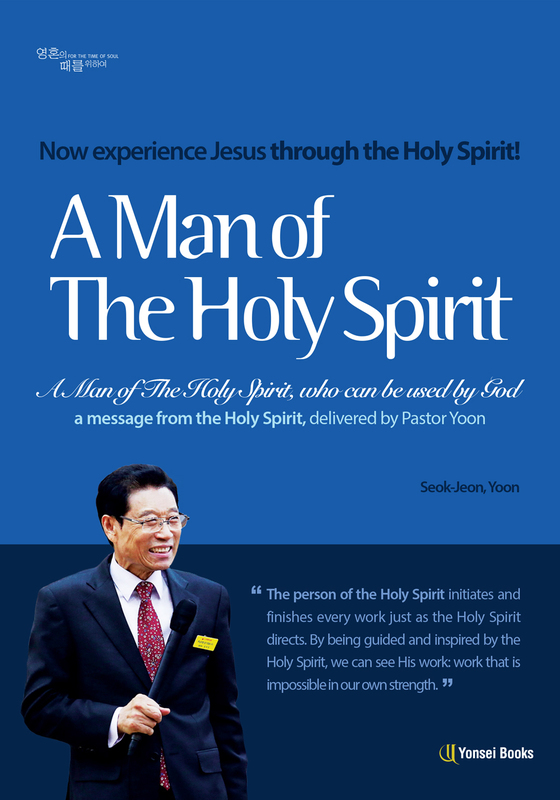 In the beginning of 1992 Pastor Yoon heard that there was a church in Noryangjin which was planning to relocate and was looking for someone who was willing to take over their church building. Their church building was big enough to accommodate the thousands of members of the Yonsei congregation, and it was in a convenient location which could be easily reached by public transport. 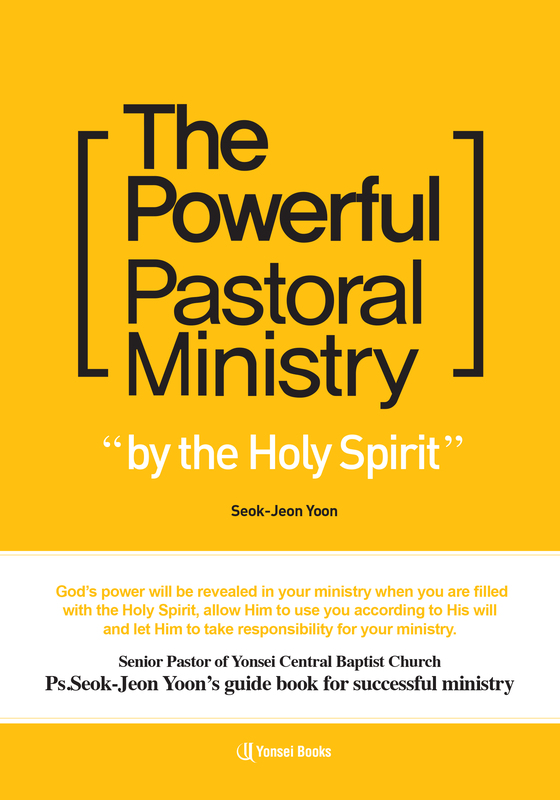 Pastor Yoon met with the senior pastor of the church to negotiate a contract for their property. But the senior pastor said that he had already received two offers from two other churches. The Yonsei congregation started to fast and pray with Pastor Yoon in order to get the property even though they had been late in putting in an offer. 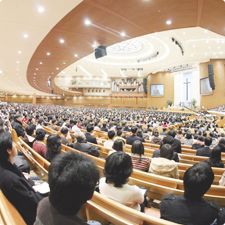 The leaders of the Noryangjin church called an urgent executive meeting and they decided to put off selling their building to the churches that had made the initial offers, and they offered a new deal to Pastor Yoon, asking him to make a large down payment and to pay the remaining amount in two instalments within the following four months. Pastor Yoon agreed. The day before the contract was to be signed, the whole congregation came to church with their special offerings, and after it was counted it amounted to much more than they needed for the down payment. Although it is customary procedure to complete the transfer of the building to a new owner after the balance is paid off, the Noryangjin church allowed Yonsei Church to move in on the down payment. 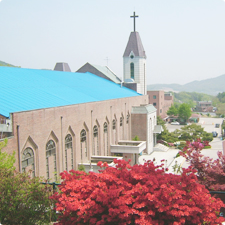 After Yonsei Central Baptist Church moved to Noryangjin, it purchased the Hindolsan Retreat Center, which it had been renting for many years, on 13 February 1996. The first seminar that was held there was in 1988 and it was aimed at pastors' wives. It was attended by 18 pastors' wives, but year after year the number of attendees rapidly increased. It was expanded to become a seminar for pastors' couples from the 8th seminar. As the number of seminar attendees increased to several thousand, it seemed necessary to find a new location. 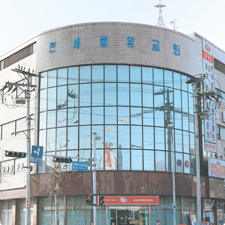 It seemed impossible to purchase another facility due to the balance owed on the church property in Noryangjin, so Pastor Yoon requested that the hall and accommodation of the Hindolsan Center be enlarged. By the grace of God, the enlargement of the hall and its accommodation facilities, which cover 150,000 sq ft, were completed in May 1997. The accommodation facility for pastors, which is 42,700 sq ft, was built in December 2003. 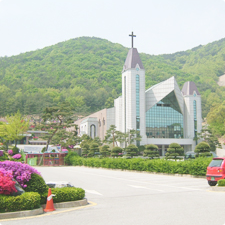 This retreat center has been used for the express purpose of spiritually awakening pastors and church members from South Korea as well as from all over the world. Almost two years after moving to Noryangjin, an additional 11,000 sq ft was added to the building to provide more space for small group meetings for the young adults and middle- and high school students. As the church was revived day by day, the number of services increased, but still the space wasn't enough to meet the needs of the entire congregation, so the church needed a larger premises again. Therefore a building committee was established on 10 March 1999 to purchase a plot of land to build a larger church. The committee consisted of twelve members who thoroughly performed suitability assessments and feasibility studies on more than eighty possible sites for over two years. By the answer of God, a property of 9.8 acres was purchased in Gungdong, Seoul, on 30 May 30 2001. Pastor Yoon asked all church members to pray for the construction of the new church building. All relevant legal procedures prior to the construction were completed along with the construction application, its traffic impact assessment and architectural review, which were done by the urban planning department of the city, and the construction permit was finally issued. 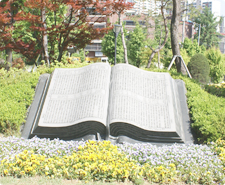 As appreciation for obtaining the permit, Yonsei Church offered a special service to the Lord to give thanks on 6 April 2003, and another service on 17 July 2003 to give thanks for the ground breaking, with the construction starting on 1 August 2003. Yonsei Church proceeded to have special thanksgiving services once a month for two years from November 2003 for the construction. There was no favoritism showed in the selection of a construction company. It was chosen by open bids and transparency, and fairness in decision-making were kept. Even though the church did not allow construction to take place on Sundays, as it is written in the Bible not to work on the Lord's Day, the overall period of construction was shortened to 21 months. The new church building was being built by the prayers of the church members who started special prayer meetings for the construction every night from 10 August 2003. Right before the completion of the new building and entering into it, all church members fasted and prayed for 3 days. 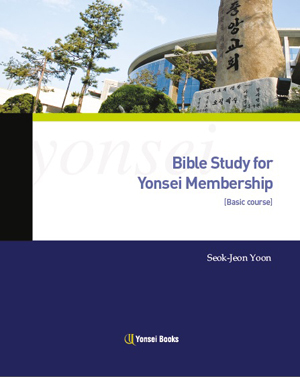 Many churches have faced great difficulties in constructing new church buildings, but the intercessory prayers of the Yonsei congregation prevented all those difficulties and have drawn God's help to overcome them. Yonsei Central Baptist Church finally completed the construction and held the dedication service for the new church building on 5 May 2005, which was coincidentally the church's 19th anniversary. The new church building covers 427,000 sq ft. The Administration Center, which was already built before the church moved and was used as offices, covers 82,000 sq ft. The main church building, a circular five-story building with a diameter of 100m, is an ultra-modern building which was built considering functionality and economic feasibility. Special construction technology, called 'top-down construction' was applied to remove all central pillars and allow a large open space inside the new sanctuary. In addition, the new sanctuary features a digital network system which enables live broadcasting for both internet and satellite services, eight interpretation rooms, cinema acoustics, small rooms for more diverse cultural activities and six theme chapel rooms. The new building was designed to have less maintenance expenses and more space. An IBS and a disaster prevention system were also established. 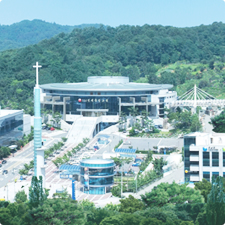 The new sanctuary also features ground level and underground parking lots with a capacity of up to 1000 vehicles, which was a new record in church construction history in South Korea. Built in December 2006, the 53,400 sq ft Education Center is serving the community with a church kindergarten, an academy and a language institute. It is used for Christian education and for mission purposes in the church. The World Vision Center was built in September 2010. Its 214,000 sq ft features seven floors and a basement, with parking spaces for up to 300 vehicles. From the 4th to the 7th floors, there is a large banquet room for church events, fellowship rooms, and a chapel for larger services such as weddings. It also features small rooms for church groups, additional offices and multi-purpose spaces.